As long as people have carried things, they’ve used containers. They have fashioned them from materials at hand – reeds, roots, grasses, tree fiber, vines or, in places with little vegetation, skins, quills, and gut. If it can bend, people can use it. As raw materials have become scarcer, artisans’ ingenuity has increased. 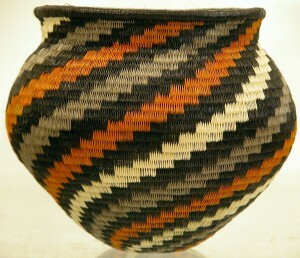 A shortage of palm fiber in Southern Africa led basket weavers to experiment with telephone-wire scraps. A decade later, telephone-wire basketry has emerged as an art form in its own right, bold, colorful and indestructible. Poverty has led artisans to contemplate trash in new ways. Rolled food and gum wrappers are coiled into shiny, sturdy, fruit bowls. Potato sacks are carefully unwoven and rewoven into baskets. Crossroads Trade’s baskets come from several sources. We are proud to carry the extraordinary, one-of-a-kind baskets made by the Wounaan and Emberá Indians of Panama. Utilizing fiber from the chunga palm and nahuala bush, women painstakingly plan out motifs and sew the baskets with needles. A fine basket can take months to make. 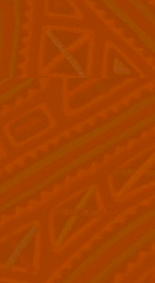 Dyes are extracted from sources such as jagua fruit (blue-black) and pucham leaves (pink). 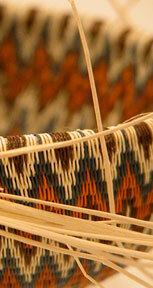 Our sisal grass baskets are made in Swaziland, in Southern Africa. Women form the coil by rolling the grass against their legs. A basket averages 30 hours to complete. Ugandan baskets utilize banana fiber and raffia. The raffia is a leaf membrane, carefully extracted in a long, continuous fiber, and meticulously wound around blades of grass to dry. Ghanian market baskets made of elephant grass, are just as useful at the farmers’ market or the megastore, and far more attractive than paper or plastic alternatives. Choose a basket to hold your marketing, fruit, baked goods, keys, yarn, or as a focal object d’art. Whatever your choice, you’re giving an artisan employment and dignity.